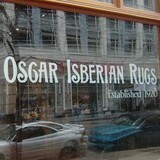 In 1920, Oscar Isberian, a young man from Wilmette, Illinois, co-founded Oscar Isberian Rugs with his brother Megerditch. The brothers traveled the world, and brought back the best of what they found to sell in their shop. That grew into Chicagoland’s premier Oriental Rug retailer, Oscar Isberian Rugs. Today, the third generation of brothers runs the business for the Family. With over 30 years of experience each, Oscar Tatosian and Sarkis Tatosian have also traveled the world and are considered experts at their craft.The brothers continue the tradition set by their Grandfather and Granduncle of discovering artisan rugs that will be in demand in their Chicagoland showrooms. We feature not only traditional patterns, but a wide range of transitional and contemporary designs. We also carry fine broadloom carpeting. We service what we sell - we have a world class cleaning and restoration service. Home Carpet One is owned by a second generation husband and wife team, Joel and Debbie Schreier, who live and breathe their flooring business. You will find one or both of us at the showroom every day. We spend much of our time sourcing product from the leading manufacturers and making sure our valued staff is well-trained on those products. Our overarching goal is to make luxury affordable by leveraging our buying power to benefit our customers. Family owned and operated since 1970, we understand the importance of building successful client relationships by providing memorable service and overall product value. Debbie’s Mom and Dad, Lynn and Leon Engel, founded Home Carpet One in 1970 at the corner of Barry, Greenview and Lincoln. They weren’t, however, the first family members in the carpet business in Chicago. Leon’s father (Debbie’s grandfather), William Engel, opened his first store in what is now the Old Town neighborhood in 1946. William helped Leon purchase the building that now houses the first of three contiguous buildings that comprise Home Carpet One. We value our clients' time and they value our professional help in selecting the best flooring materials for their homes. With this in mind, we present our customers with a 10,000 square ft. showroom with an endless selection of quality flooring choices. A reputable family business - providing high-end antiques and practical rugs for home décor, for the past 30 years. 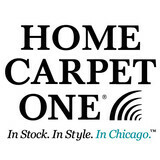 Yonan Carpet One is Chicagoland's first flooring store. SInce 1906, Yonan Carpet One has had one of the largest selections of carpet, area rugs, tile, hardwood, laminate, cork and natural stone. With locations in Downers Grove and Chicago, we are able to serve our customers with the finest products and guaranteed installation. Caspian Oriental Rugs, established in 1971 by Jamshid (Jim) Soomekh, has grown into one of the largest oriental rug stores in America. With a store size of 6,000 square feet, and one of the largest rug inventories, it is truly a Chicago landmark. Caspian Rugs has grown from a small establishment into the premier store for all origins of hand-woven traditional, transitional and modern rugs. Jim has grown his collection into a museum treasure of masterpiece antiques, arguably one of the largest in Chicago, along with over 100 oversized rugs. Caspian Rugs is part of a family business that began in Iran three generations ago. In 1961, brothers Jamshid and Moussa Soomekh expanded the business to the United States, selling Oriental rugs to dealers in New York. The Soomekhs went on to open stores in Boston, Pittsburgh and Milwaukee with Gimbel Department store; Minneapolis and Detroit with Dayton and Hudson Department store; and in southern California with Broadway Department stores. In 1968, they established a Midwest leasing operation providing rugs to the Chicago- John M. Smyth stores. Ten years later, they moved to 904 North Michigan Avenue. When that building was scheduled for demolition in 1984, they moved Caspian Rugs to its present location at 700 North LaSalle Street. *Authorized Dealer of Shaw Floors* Since 1955 the Vander Zee family has enjoyed helping the Illiana area decorate their homes and businesses. Now with the second generation at the helm that commitment to our village and our customers remains, strong. We love to service our customers to fit their individual needs. After 13 years of installing floors, Don has assumed the company from his father Andy, who has worked nearly 50 years in the family operation. The name Lansing Paint & Supply gave way to the new TOWNE INTERIORS in June of 2007 to better present the message of our complete decorating offerings. My wife Jackie and I, and our family, are thankful for the opportunity our customers have given us to serve them. We enjoy living in the area, going to church and school, kids playing soccer, baseball, etc, and working hard. Our staff and our professional installers have all been in their fields for many years. Jan and Megan can answer all your paint & decorating questions. Our installers, George, Dan, Steve, Kevin, or Paul; will make sure that your new floor is installed beautifully, to the last detail. We are thankful to you, our customers, for all the years we have been able to serve you. We are a thankful to God for blessing our business for nearly 50 years and realize prosperity comes from His hand alone. A lot of choices are needed to be made while decorating a home, yet the most important choice in life is to serve the Lord! Carlson's is a 2nd generation, family-owned business servicing the Fox Valley area for 50 years. We are also members of International Design Guild. 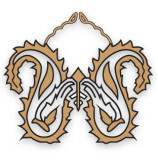 We offer great values on the most unique and exciting variety of products available. While you’ll find selections for every budget, we go to great lengths to give you options not found just anywhere. We want you to experience the “WOW!” factor, because we believe in flooring as fashion, not simply for function. Award winning Russell Martin Carpets and Rugs is known as the premier carpet cleaning firm in Naperville and the surrounding area. Clients from homeowners to businesses trust us to provide quality carpet cleaning service every time. Russell Martin is a certified IICRC carpet cleaning firm. IICRC is a non-profit certification organization designed to ensure that consumers have access to trusted and trained cleaning professionals by establishing and monitoring certification programs and standards. At Russell Martin, we clean carpets by using a truck-mounted hot water extraction process. Many of the high-end carpet lines we carry require that carpet be cleaned every 18-24 months by a certified IICRC firm to uphold your carpet's warranty. Top-rated by Consumers' Checkbook, Russell Martin Carpet and Rugs serves the western suburbs including: Naperville, Wheaton, Bolingbrook, Downers Grove, Lisle, Oswego, Aurora, Glen Ellyn, Geneva, Yorkville and Plainfield since 1957. We are a family owned and operated store specializing in carpet, hardwood, luxury vinyl products, laminate, tile, epoxy, carpet cleaning and hardwood floor refinishing. We custom fit all our customers with the right product for their application and never take a "one size fits all" approach. We currently have to locations to better serve you: 19845 S LaGrange Road in Mokena, Illinois and 2315 45th Street in Highland, Indiana. Carpet dealers in Wheeling, IL help homeowners choose the correct carpet covering for their floors, and also assist with carpet maintenance. This includes determining factors like material, carpet pile, durability, color and size, as well as helping with any custom carpet design. After completing the initial installation (which includes removal of the old flooring, if applicable, and surface prep), they may also handle follow-up maintenance requests such as carpet cleaning, carpet repair and carpet stretching. Carpet dealers might work closely with Illinois contractors, interior designers and others in the home building and home improvement industry. Here are some related professionals and vendors to complement the work of carpet dealers: Interior Designers & Decorators, Design-Build Firms, Specialty Contractors, General Contractors, Home Builders. Find a carpet dealer on Houzz. Narrow your search in the Professionals section of the website to carpet dealers in Wheeling, IL, and read reviews and ratings for pros in your area.